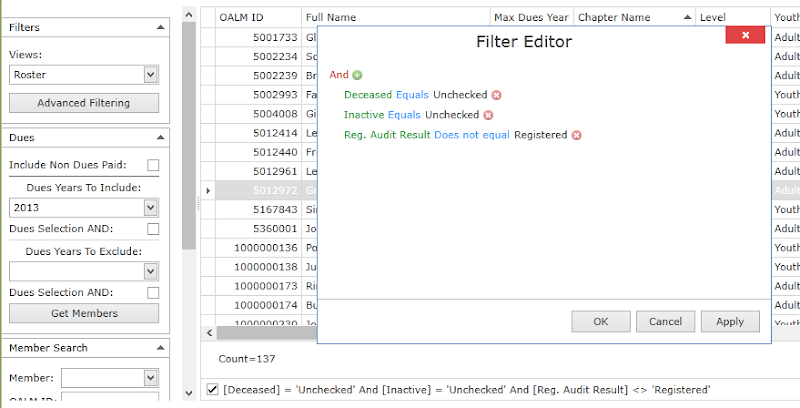 After setting registration status following a successful import of one or more of the 3 files from ScoutNet (Registered, Not Matched, and Not Registered) after an audit run, each current years dues paid member will have a status code/value set. Here's one way to find those still needing to be checked against ScoutNet (though some who "pay dues" may in fact not be registered with the Council when audited). Click on the Advanced Filter button, and add the condition for the "Reg. Audit Result" field as shown. 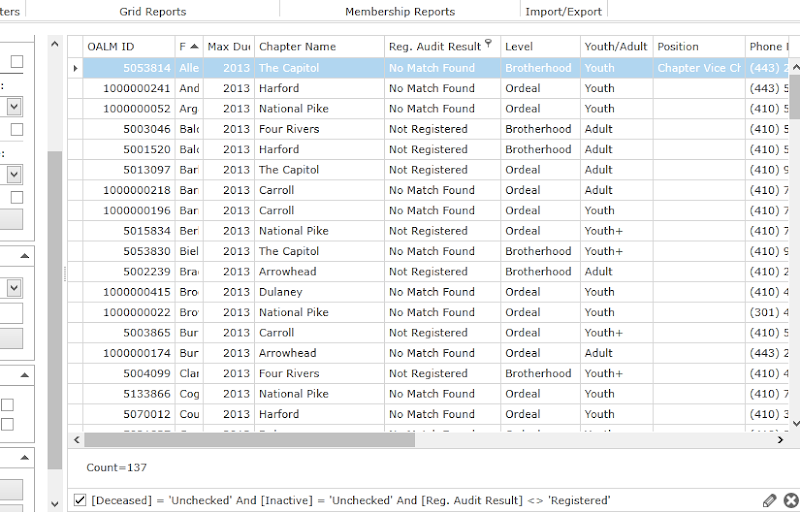 With the members split into registered and the rest, add the column for Result if not visible in the current view. 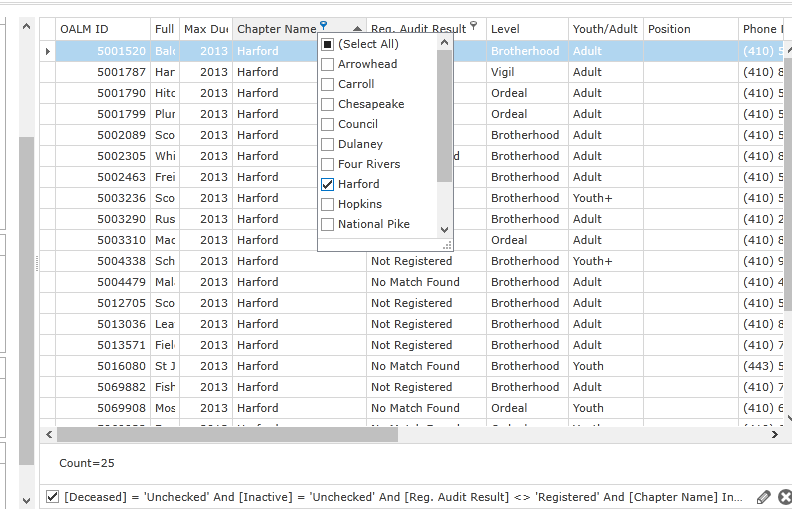 Filter Chapter by clicking on the funnel at the column heading. 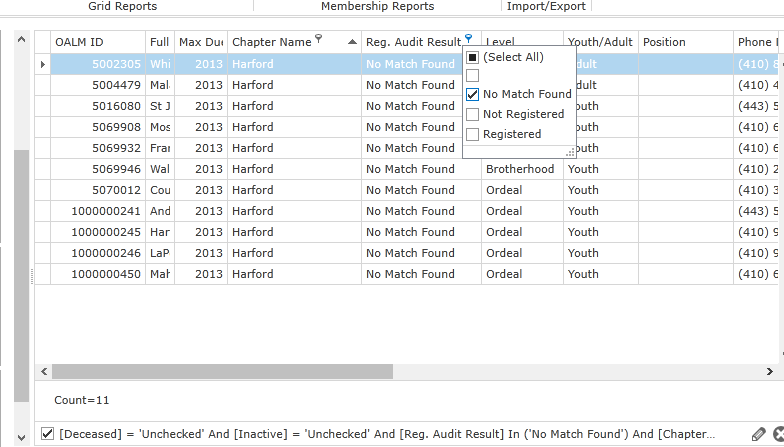 Show not audited, not matched, and/or not registered by filtering on that column as shown. The count for each of the unchecked members is shown at the bottom left of the screen.